Introduction and Uses: Chives is a "gateway herb." It is the perennial member of the onion family. It has a light onion flavor, and its hollow, green leaves grace many cuisines. The entire Chives plant is edible. From its leaves, blossoms, to the bulbs, all find uses in the kitchen. Pollinators love chives' vibrant, purple flowers. Step 2: The herb prefers moist, fertile, and humus rich soil. You need to start with soil that’s loose, well drained and free of any debris. You can use soilless growing medium like Organic veggie mix. Step 3: Right before you plant, incorporate 4-6 inches of a well-composted organic matter. Step 4: Chives are best started by seeds. To begin, scrape away about 0.5 cm of soil and then sprinkle seeds evenly over the growing area. Step 5: Chives seeds are tiny and hard to handle. You can make a small seed sower of paper contribute to making the process easier. Step 6: After sowing, gently cover the seeds back over with the layer of soil (0.5 cm) that you pulled back initially. Step 7: To finish up, gently firm the soil over your the area where seeds are sown. Step 8: Keep the area well watered, and in less than 2 weeks you will see your chives start to sprout. Chives chan be grown in 12-14 inch sized plastic pots, ceramic pots, fiber pots or even grow bags. Water chives consistently throughout the growing season. Moisten the soil evenly when watering. Conserve moisture and keep the weeds down by using Mulch. For excellent yield, side-dress the plant with a handful of vermicompost every month. Fully grown plants need minimal care. After the purple flowers bloom, remove them to avoid self-seeding. Chives grow 12 - 24 inches tall and have a tendency to spread a foot across. Divide the plants every 3 - 4 years during monsoon. Chives are productive if distributed regularly. Allow these distributed plants to grow for several weeks and then harvest. Harvest chives 30 days after transplanting or 60 days after seeding. 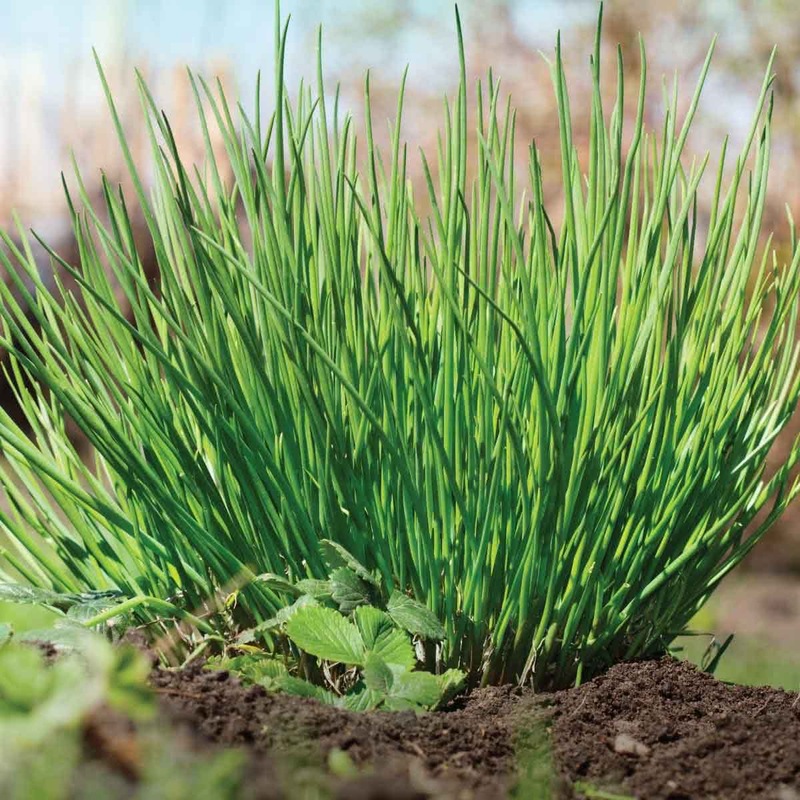 Once your chives reach about 6 inches tall, you can go ahead and start collecting. Cut the leaves down to the base when harvesting (i.e. within 1-2 inches of the soil). Harvest 3-4 times during the first year. Later, cut plants back monthly. No matter how much you cut, chives keep growing and coming back. The chive plant flower every year. Use chives fresh or frozen (the leaves can be frozen in an airtight bag). Dried chives lose their original flavor. Store chives in a cool place. 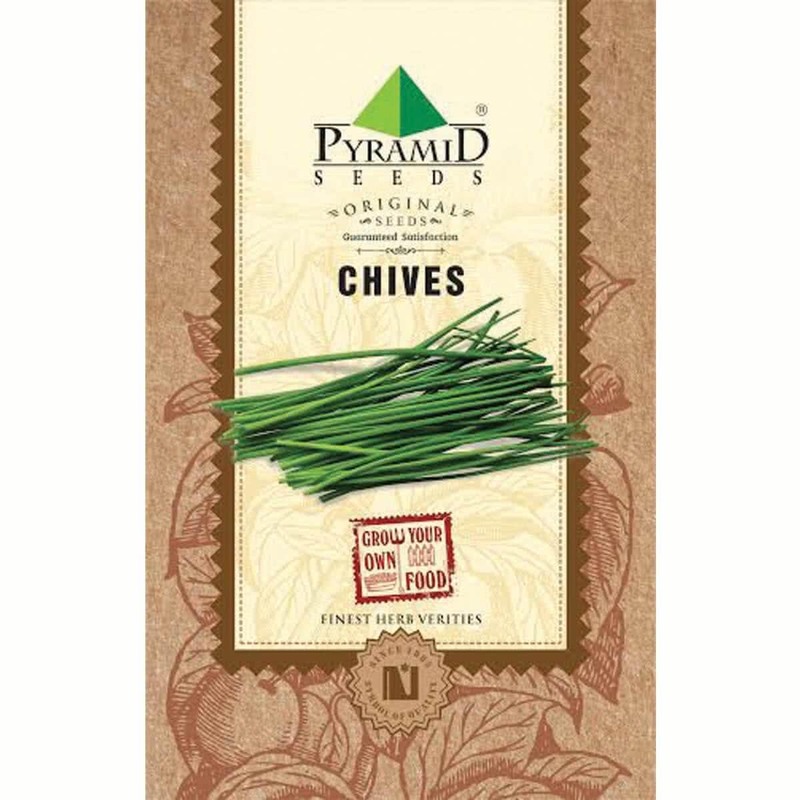 Garlic chives can be used to add a mild garlic flavor to your dish. Plant chives next to carrots in your kitchen garden. Bunches of chives were hung in the home to drive away diseases and evil. Chives are known as the symbol of usefulness.